Global Home Education – How can you help? Greetings to Manitoba Home Educating Families! 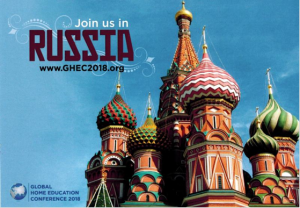 The Global Home Education Conference (GHEC) is being held in St. Petersburg and Moscow, Russia, May 14-19. A number of homeschool leaders from across Canada will be attending. Gerald & Bev Huebner from Manitoba, Ray & Lois Strom from Alberta, Russ & Andrea Hiebert from BC, Peter and Tarah Stock from Ontario, and Stephanie Jackson from Nova Scotia. Gerald & Bev Huebner and Stephanie Jackson will also be speaking at home education and Christian camping conferences in Ukraine (9 days in 5 different cities) and Belarus before going to Russia. This is the third Global Home Education Conference. The first was in Berlin, Germany, in 2012. The second was held in Rio de Janeiro, Brazil, in 2016. The purpose of the GHEC is to advance the freedom of parents globally to choose and direct the education of their children. GHEC is not specific to either motivation or methodology and is open to all. Its purpose is to bring together everyone with an interest in home education – whether parents, policy-makers, home education leaders, researchers, or anyone interested. We aim to influence public policy by promoting an understanding of the great value of home education and the necessity for it to be acknowledged as a human right. We also want to provide an opportunity for global leaders to connect and mutually support and encourage one another as we as seek to protect and advance home education freedom. When passionate and committed people come together with a common goal, great things can happen. That is exactly what happened in Berlin and Rio, and we expect it to happen again in Russia this year. What can you do to support these important Global efforts? PRAY: Most important is the foundation and covering of prayer, which is needed crucially in the lead up and as we speak at these many conferences in the former Soviet Union. While the GHEC is purposefully not a specifically Christian conference, it is a special opportunity for Christian home educators to encourage others and to be salt and light. If you would like to support GHEC in prayer and get updates, you can email [email protected] and you will receive regular prayer updates. ATTEND, although it may not be possible to attend in person the conference will be recorded and available online at www.ghec2018.org. 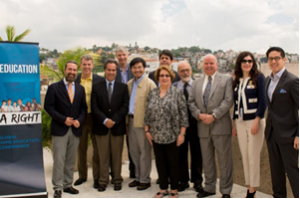 SUPPORT, GHEC financially to enable a home educating family or leader from another part of the world to attend GHEC and thereby encourage and equip development of home education organizations around the world. Your support will be used to enable leaders from Africa, Eastern Europe (Ukraine, Hungary, Poland, etc. ), South and Central America, and others. Average costs for a couple to attend will be approximately $3000, so anything you can do to help will be appreciated. Tax deductible donations in Canada can be made online through the Canadian Centre for Home Education (CCHE) at https://cche.ca/donate/ to designate the funds to this purpose also send an e-mail to [email protected] indicating you want the donation designated for this particular purpose. Many of you will remember Bill Jack who has spoken at our MACHS conference in the past and is coming back in 2018. Bill is a faculty member with the Worldview Academy. Also a number of homeschooled Manitoba teens have participated in these camps in the past with very positive experiences. If you would be interested in attending a Worldview Academy Camp and applying for this scholarship opportunity the MACHS board would ask for the teen to write a letter of application (1000 words maximum length). Identify who you are, some information about you (age, interests, and family), tell us about your homeschool journey so far, and explain why you would like to attend camp. We would ask that these be sent to [email protected] by January 25, 2018.